Poll: will we do it? It’s Thursday and we’re getting ever closer to Croke Park on Saturday. Well, time-wise in my case rather than geographically speaking but you know what I mean. There’s loads of stuff in the media today about the game, most of which you’ve probably seen by now and some of which has already been mentioned here so it’s not really worth my while trawling through them all to stick up the links. I’ve been following with interest, as they say, the debate that’s been going on here since the weekend. The degree of nervousness that’s out there about Saturday’s match is, I think it’s fair to say, rather palpable. 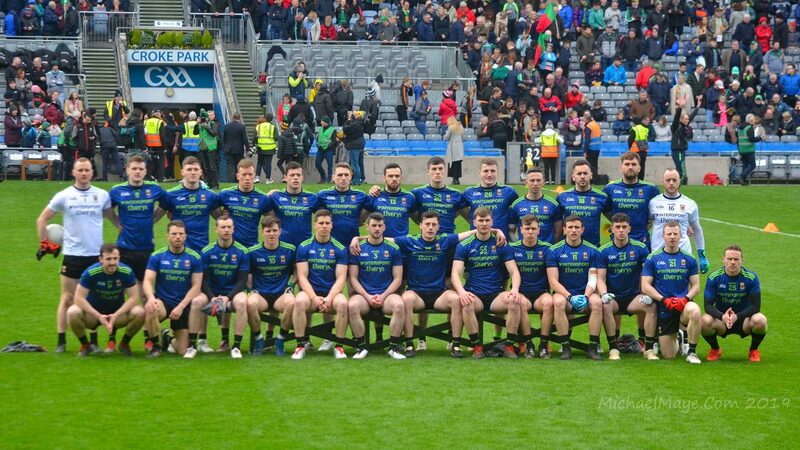 It’s a stance that’s understandable enough – Donegal, whatever about their narrow loss in the Ulster final, their legginess coming into this one and the injuries they may be carrying, still represent top-class opposition for us and a team that, if things go awry for us, could well dump us out of the championship. We’ve only ever met Donegal three times in the championship, with them winning twice and us once. The first meeting was way back in 1992, when they prevailed by 0-13 to 0-9 in the All-Ireland semi-final in the year that they took Sam back to the hills for the first time. They beat us again the next time we met them, only this time it was in the final itself in 2012, and while our victory over them at the quarter-final stage the following year was emphatic, and rather cathartic, it never really made up for the one that, from our perspective, got away the previous September. With us firing on all cylinders, I fancy us strongly to do it but with them doing likewise, I wouldn’t be so sure. I think the bookies have this one priced right – we’re narrow 4/5 favourites to prevail but Donegal, at 7/5, aren’t exactly rank outsiders. The draw, priced at 15/2, is the value bet but I’m not convinced we’ll see this one ending up all square either. I’d love to see us record the kind of win we achieved over them in 2013 but only a madman could expect to be seeing a similar scoreboard to the one pictured above at 7.45pm or so on Saturday night. What do you reckon – will we do it? YES WE WILL ! as they’d say across the pond. A lot of nerves around to be sure but I believe we’re the better team and we will prevail on Saturday. We are fresh and should be rarin; to go. A win and a clean sheet would be ideal. I’m going for the win. I have the same sort of nerves that I had back in 2013. I knew we should, but…. Therefore, based on that theory, the only possible outcome is a 16 point victory. I voted Yes on the basis we play well and don’t let in more than one goal. WJ or anyone else know what the story is int he event of a draw? ET I assume ? I was more optimistic earlier in the week but as the week has gone on I’m shitting it frankly. Michael Murphy is causing me as many nightmares as Donaghy did last season and I think they’ve enough steel in the middle third and their backline to make our lives a misery on Saturday. A lot of talk about our backs- justifiably- but what about our forwards? If Aido is (as I sadly fear) bottled up or dragged out the field (very likely) we only really have Cillian as a consistently reliable score-getter. The backs are taking the flak but unfortunately there has been too many days all of our forwards haven’t stepped up to the plate, and they’ll really need to do so Sat. We have struggled against blankets before and I just don’t know will we live with the counter attack all day. Feckin Galway caused us chaos at times doing it. Either way it’s gonna be fascinating- roll on Sat!! Steve, no way the GAA will reject another payday to play extra time in the dark and have Donegal fans getting home some time Sunday afternoon! I like others think it will be tight which is why we may win handy enough. we wont know were we are until Saturday evening, but i don’t think were miles off Kerry or Dublin. We should have beaten Kerry last year in both games and cork should have beaten them this year so its really on the day when it comes to the top teams. I voted for Mayo win.Two things very important we get out of blocks early and pike on the pressure and who knows we may see a resemblance of 2013. Secondly we have to get match ups right. Donegal will turn contest into a dog fight and will try frustrate us.We must get on top of thrm first and then drive it home. Hon Mayo ! I have a feeling that we will see a Mayo version of a blanket defense, a Foxford rug maybe! I can’t see us going man to man and I hope that Pat and Noel are more pragmatic in their view of how we play than maybe Horan was. There is no merit anymore in playing well and losing gallantly. Play ugly but WIN. We need to protect our full back line and be prepared for a high ball offence and the only way to do that is by numbers. If Murphy is in there we need two to deal with him but, McBrearty and McFadden are almost as dangerous in the air as Murphy. If we can get 55% to 60% of possession in the middle third. thereby starving Murphy of ball in the full forward line, that more than likely will bring Murphy out the field and away from the small square. I think you will see Mayo in perfect physical shape, due to the influence of Solan, and we will have too much pace and stamina for Donegal. However, we need to transmit that energy to the scoreboard and keep it ticking over i.e. no long scoreless periods! We have to assume that they will have a plan for Aido and it may mean his influence is missed on Saturday but it’s a squad game and now is the time for other players to take the game and win it. Mayo by 2 points in a hard hitting, tense and close battle. I love your logic TonyK – in fairness there’s no arguing with it 😀 Yes all the way. Just to maybe turn the confidence dial a little more towards the positive side….the last time the majority of this team and the current management worked together, this happened…..
Mayo captured the 2006 All-Ireland U21 football title with a superb 1-13 to 1-11 victory over favourites Cork at Cusack Park in Ennis. For a long time it looked as if the Munster champions would win this match, but Mayo finally clicked into full gear shortly after the re-start and the Rebels were unable to stay with them. The first half was a scrappy, nervy affair as both teams struggled to come to terms with the sense of occasion. Cork had two points on the board inside the opening eight minutes thanks to John Hayes and Daniel Goulding but Mayo replied with an Aidan Kilcoyne effort. The Rebels restored their two-point cushion before Michael Conroy (Mayo) and Fintan Gould traded points. Hayes went to ground very optimistically in search of a 20th-minute penalty but the referee was having none of it. Goulding tapped over a simple Cork free from straight in front of the posts but the Green & Reds stayed in touch thanks to an excellent long-rang free from the boot of their top scorer Kilcoyne – 0-5 to 0-3 with five minutes left in the first half. The inspirational Mayo No.12 then landed a stunning score from a sideline ball on the left wing, curling a majestic point between the posts with his right instep. When Keith Higgins wrestled Goulding to ground directly in front of goal, the Rebel County corner forward made no mistake with another free from the hands. The kick was from precisely the same spot as Cork’s previous score. Cork centre forward Caragh Keane burst through the Mayo defence to fire over a superb point on the stroke of half time and that score gave the Leesiders a handy 0-7 to 0-4 interval lead. Hayes got the first point of the second half with a free off the ground four minutes in, as Tony Leahy’s side assumed a double-scores lead. But 1-4 without reply put Mayo in the boss seat. Midfielder Seamus O’Se won a penalty two minutes later and finished emphatically to the net at the second attempt after Cork keeper Ken O’Halloran had excellently saved the original effort. Amazingly, a Conroy point then had the westerners level seven minutes into the second half. When Kilcoyne clipped over another free, Mayo led for the first time ten minutes into the second half. Gould had a chance of an equaliser but fired his free wide. Mayo were on top now and registered the next point to make it 1-7 to 0-8. Kilcoyne split the posts with a 35-metre free and the underdogs had a three-point advantage with only a quarter of the hour remaining to play. Then, a bolt from the blue: a high delivery into the Mayo goalmouth was collected by Goulding, who somehow managed to grab a brilliant goal (despite the attentions of Keith Higgins) and bring the Rebels level, 1-8 apiece. Mayo went back ahead with three more points on the trot, including another effortless Kilcoyne free. The winners led to lead by three with just over five minutes remaining. Gould kicked a mighty point from distance to give his side a glimmer of hope and the same player then landed an exceptional long-range free to leave just a point in it. In a dramatic climax, Cork lost possession late on while pressing for an equaliser and with that went their last chance. Michael Conroy kicked an insurance point for the Connacht champions ten seconds from the end of normal time and the diminutive Mark Ronaldson knocked over the winners’ last point of the match in the first minute of stoppage time. There was one last opportunity for Cork to salvage a draw but Goulding’s close range rasper blazed over the bar in the third minute of added time and the long whistle sounded with Pat Holmes’ side 1-13 to 1-11 in front. Champions of all Ireland. Mayo will make their task easier if; a) Deal with high ball in square; b don’t allow runs from deep; play long ball in COC & AOS prior to Donegal setting up blanket defense; run at Mchugh (poor defender in my view); have Regan, Freeman, Conroy, B. Moran, Durkin, Barret in reserve i.e. need to being on power and pace when opposition legs tire. Yes for me. I think the players, after the disappointment of Limerick last year are more up for this than ever and Donegal will be the first stepping stone to the next level. Anyone hear the bench ??? It’s one game at a time and in that we ll be having a lot to do . Our history since the middle of the last century is an enormous load to carry no matter what anyone says and I feel that somewhere in there lies an ingrained uncertainty detrimental to our chances,the closer we get to the finishing line. We re not there yet so history is not an issue at this stage. It’s just another game to play …another game to exercise the considerable talents in the squad and as far as I m concerned the curve is on the up! Thanks WJ. Will listen to the podcast shortly. There is a sense that Donegal are still hurting badly after the Q/F of 2013 – humiliation and all that; that they will be the aggressors this time, with something to prove, including getting O’Shea a red or black this time, and early. Remember the rumpus the Donegal players made, howled on by the fans, when Aido committed a high tackle? McQuillan to his credit took that in his stride, but will Gough have the balls? Our record over the years against Donegal is appalling. To add to your stats of ’92 (terrible) and ’12 (no further comment), how about the league final of ’07, when we failed miserably to a very poor Donegal team? BTW 5 of that day’s panel are still around. Letterkenny ’09? Draw, ten of current panel still involved. Then there was the infamous league match of ’12 – beaten out the gate in Ballyshannon – 15 of that panel still around. And, Easter Sunday’s tetchy affair in Castlebar – a draw ‘win’ for Donegal. So, if motivation is necessary, by God we should have it in spades. GO OUT AND HAMMER THOSE BASTARDS! Can anyone help wit a query regarding Cairde Maigheo tickets for Saturday. I have Croke Park one and tickets are e mailed , are the Cairde tickets issued in the same way. An elderly friend has one and used my email address, but I didn’t receive an email for his. I don’t know how the Croke Park season tickets work, Nephin, but I assume that when the Cairde Mhaigheo tickets went online, it’s the same platform they’re using. You should have got an email to say your ticket is ready for printing and then you have to log into your account and get the pdf to print. Thanks for that WJ , that’s what I thought, will have to dig a little deeper. Glad Liston is writting us off. This is gunna be one hell of a battle. Ive a feeling kmac and jason doherty are gunna be topping the polls in wj’s man of the match vote on Sunday/Monday. Whether we win or not i don’t know, i fully beileve we are capable but so are Donegal, as we all know anything can happen. But, if we manage to hit them hard in first 15mins or so and manage to get 4+ points up, i think their will be no stopping us when our tails are up. I tentatively voted for us in the poll. Just hope Aidan stays on the field for 70mins. Hope to God we are all discussing the Dubs this day next week. Either way im proud of this team and they owe us absolutely nothing. Think we better team but there are some buts. No need to mention FB line as that has been discussed to death. As previous poster pointed out we struggle with blanket defence such as v tyrone in league, also against them in 2013 semi and even Ross last year and Galway this year had us struggling to break them down Another but is AOS. Big expectation on his shoulders and Donegal backs will give him plenty of it. Lots here think we will dominate midfield but I wouldn’t be so sure and Aiden might have to move out there. Forwards could be a concern they excellent in open games but often struggle to score in tough tight games. If we win I expect it to be by a decent margin but would fear Donegal in a low scoring tight dour affair. Having said all that I do think we have a fine team and do think we will win. Up Mayo. Always been a mad man , nothing new there . Double digit margin of victory . AOS is in his prime , no defence will handle him this year. The first time Donegal beat Mayo in AI final. In 2013 Mayo slaughtered Donegal. This time Donegal will beat Mayo. In Ulster final Monaghan only scored 2 points from play in 2nd half, and Donegal kicked wide after wide. Galway only scored 3 points from play against them in the 2nd half. Based on this, and on the beating Mayo last gave them I think Donegal will win. Donegal have the extra strength that Mayo don’t have and all their forwards are lethal, Mayo can blow hot and cold. The feeling out there is that Donegal will want to get revenge for 2013 but for us, maybe we didn’t get enough credit for our win that day. The narrative was based more on Donegal been poor than us been great. It was seen as a freak result. Maybe our boys will want to say, hey that was no flash in the pan result! We should remember though that if Donegal lose on Saturday, they will have nothing to show for the year, that is bound to drive them on too. At least we have our fifth Connacht title in a row in the bag. The key for us in 2013 was that we took the physicality out of the game, we moved the ball so quickly. I hope that we try to do the same thing on Saturday. You feel that in the 2012 final, we seemed to be a bit too hyped up and tried to put in some big hits, early in the game, which didn’t really suit us. A physical battle would suit Murphy, Gallagher, the McGees and McBrearty etc. A more fast moving, skilful game would suit us better. In saying that, we should be well prepared to stand up for ourselves too, if things do get physical but hopefully we can move the ball quickly and beat them that way. Willie Joe, I didn’t get a chance to congratulate you on the milestones reached regarding the number of visits to your blog – proof, if it was ever needed, of how much Muintir Mhuigheo depend on it. A few things need to happen if we’re to come out on top on Saturday. First, our defence needs to rediscover the form which made it the best in the country 2 years ago. Also, the 2 O’Sheas are crucial to our progress, but if they are confronted with a blanket defence they must not, as often happens, try to barge their way through, this nearly always results in a turnover. Thirdly, accurate kick passing has opened defences and led to some great goals in the past few weeks, have we got the players to deliver those passes? As well, have we solved the problem of our over-dependence on CO’C. Most importantly of all, after 4 years of agonising near misses, has this particular group of Mayo footballers finally acquired the game intelligence necessary to make the big breakthrough – when to pass to a team mate in a better position, to have a plan B if the high ball in is not working, when to slow the game down (Kerry last year), how to draw frees (M Murphy last week when he stopped suddenly after winning possession, F Hanley ran into him, Murphy keeled over, easy point from resulting free), when to break the ball if you can’t catch it (Seanie Walsh on W J Padden in second half of semi final in 1982). There are so many other small aspects of the game that can make the difference in tight matches but it can be summed up in one question – are the players capable of choosing the right option at the right time in order to win the match? They’re a smart bunch of players and I’ve a feeling they’re battle-hardened enough to get past The Donneys. Nice one true grit, never miss a chance to throw in a sly scud. I presume your going to back up your hot and cold statement. If we got a draw I’d be happy enough. Three hard games in three weeks would surely be beyond Donegal. I just have a feeling that they have the quality up front to edge us out on Saturday if they hit top gear. If they are any way off their peak then our lads will send them back to the hills with their tails between their legs! Mo Maguire, like your post; very accurate and well thought out.. I don’t agree that the Mcgees are scumbags. I like the way they play the game. In fact Donegal are not a dirty team just tough. I wudnt mind havin Neil at FB on sat. I think weel win in a tight game. Too much talk about AOS in my opinion. Dunno where his head will be at. Let’s wait n see. Only 2 more sleeps!!!!!!!!!!!! Hi. I am going for a score of 2goals and 14pts for Mayo. I really cant see them scoring less. Surely Doc, Andy, Diarmuid, Kevin are all likely to find the net. No need to mention all the other heroes. Now about Donegal, they seem to be a battle hardened team and can expect them to get 13points. Murphy is excellent on the frees. It is so exciting and it is great to know that Mayo will give all they have. I am no football expert but can see the Spirit in the team. Hope they have a nice trip to Dublin. Ciaran 2. I agree with you too much talk over a o Shea I prefer cillian over him at the moment he is so composed, and also won’t let hype get to him hope Mayo win. It’s hard to stay objective at times like this sometimes do I wandered on to a few other sites to see what they were saying and the majority opinion although not with great confidence is for a mayo win, which helps the anxiety a bit. There are some unknown which make calling it less clear cut. It’s the first real test of the season and for the new management. Mayo have struggled against the blanket defence particularly in the league this year. So have we learned enough from those experiences? How will we address our vulnerability to conceding goals? IF AOS is nullified is there a plan b? Which Donegal will turn up the tired ulster final team or the reinvigorated 2nd half team against Galway? Personally I think Mayo will win simply because they will eventually overwhelm Donegal with pace and intensity but it requires not allowing Donegal get a lead early on to allow them to dictate the game. In a tight game I would worry that donegal have more potential match winners then Mayo. Another concern I would have is that Donegal will turn it into a war and a niggle physical battle which will suit them better. It could be a game of black and red cards. I’m not sure our management raising the issue of refs not protecting AOS enough was wise. Just better to stay focused on the job on hand. Agreed about the McGees not being scumbags, would be loathe to call any player a scumbag. They are hardcases though and probably sail very close to the wind rules wise, having heard some of their tactics from opposition players I wouldn’t like marking them. In saying that, I don’t think their is a player or player in the country who can mark AoS in full flow. Catcol, your piece was grand and quite perceptive. But your parting shot was out of order. Fair play is bonny play. So im not the only one nervous about this game, is it that we know in the back of our minds we are so nearly there but yet if we lose this game we will be further than we ever were. These days are great all the same, first train out of Ballyhaunis on Saturday and the last train back hopefully debating the downfall of Dublin on way home. Any chance of the black jersey making an appearance. I’m going to vote yes. I have the belief that the 2 lads have analysed the tactical situation and will have a good game plan, it may not work to perfection as our opponents are good and tough but enough to win yes. I’m hoping we can be 3 or 4 up with 5 or 10 minutes left and put 15 behind the ball. As for hot and cold comment I disagree, our lads fought to bitter end in 2012 when our big lads ran out of steam on a hot day and we encountered the best 35 minutes of kickouts Cluxton has ever produced, we still nearly caught them and if black card was in that year would have won. And for me the replay last year was the most courageous performance I’ve ever seen from Mayo. Our 2 best players collide, unlucky with several refereeing decisions and well behind in possession stakes and still Kerry couldn’t put us away. I expect to see heroics from several players on Saturday. I’d say lads are raring to go and will be in great shape. Any lead in Donegal any players legs from last week will be exploited. Before any of ye jump on the Kerry game comment, as they eventually did crack us in final quarter with help of fresh subs, I’m referring to the courage displayed when a hell of a lot of things go wrong and you fight all the way without excuses. One if our players eventually cracked at the very death and saw red after some extreme cynicism from our opponents which is understandable in the circumstances. We know Kerry are also a very courageous team as they had to dig awful deep in the same game as are Donegal who took the hard route in 2012, Dublin in same boat too although shell shocked last year they seem to have learned from that pain and we know Tyrone have that attribute, so only Monaghan are unknown but I expect them to do well Saturday and show grit so the best 6 teams no doubt are left. No matter what happens in any remaining games in 2015 I don’t expect to see our lads lie down. Can’t wait for Saturday. Very dubious about our chances. We were as ruthless as any team could’ve been against Sligo, and thaf’s rare and welcome from any Mayo outfit. A reinvigorated Donegal with five tough games under their belts is a quantum leap on what we’ve faced so far however. McBrearty, McNiallais, McFadden, McHugh and Murphy all finding form, and they know that for them a defeat may be the last hurrah for a great team. Even so, I would take Mayo to win if we could just stop the goals going in. But we’re shipping two a game. I don’t see how that’s suddenly going to be solved on Saturday. Maybe we’ll score enough at the other end to get away with it. Maybe. I fully expect us to lay on a huge performance in Croke Park. If we do that we’ll win with a bit to spare. Donegal will need at least two goals to compete. I’m not convinced we can alter our game to play (too) defensively so I believe we’ll go for the jugular from the off. If we play our own game we’ll win. Can’t be kamikaze but we need to trust in ourselves. Mayo by four. Nephin – in case it helps, I got another email from Mayo GAA this morning outlining the steps that need to be taken if you haven’t yet printed your Cairde Mhaigheo ticket. Whatever mail address is linked to your friend’s ticket should get the same mail today too. Let me know if you want me to forward it onto you. AOS is a top footballer, no doubt, but too much credit is going to him for Mayo to beat Donegal. We have many excellent footballers with loads of experience and leadership. Of course no one knows what the result will be, but i would be just as confident of a win even if AOS didn’t play. Ah now Orjolo, you’d be just as confident if AOS wasn’t playing?? So he doesn’t add anything to the team? I agree that we have plenty other players who can win the game for us, but to say AOS isn’t a major player and potential matchwinner for us is madness. Our lads need to be willing to dig real deep in this one. In 2012 we went in 4 down at half time and missed 3 or 4 chances just after. Not beyond Donegal to have a lead on us at half time so we need the mentality we had for Kerry game and unreal drive to win. I expect Noel will fire them big time at half time regardless and they’ll go back out pumped. Donegal are a top team, Our A game needed. Tubberman did you see my post and then make up what I said ? Where did I say he didn’t add anything to the team ? Where did I say he wasn’t a major player and a potential match winner ? Donegal relish under dog status. We have to tighten up at the back or they will win this one. Have shown nothing so far to indicate we have a plan in defence so lets hope Pat and Noel have a master plan for tomorrow evening. Come on Mayo! Now some are getting tetchy as we wait. We will beat Donegal as it will be a dry day that will suit a refreshed energetic team.Aido just had to do his bit and Cillian and Kevin and Andy will show leadership. The backs are on full alert…cant see any soft goals this time. There will be bigger fosh to fry before year is over.Enjoy the day anove all.Could be last qtr final for a while win or lose! For arguments sake, if you are 75% confident of a win with AOS, and 75% confident of a win without AOS, then AOS makes no difference. The blogging is fairly hotting up and the sunshine has returned to put a glint on the grass blades of C.Park , just as it should be. It amazes me to see how so many people find so much to say about an event. My latest thought concerns those couple of goals Mayo conceded to their detriment on those few memorable occasions . It is said that we could have a few AllIrelands by now if it was nt for such bad luck or such oppertuniism or such failures.However it has been said too, that the reason we didn’t win those games was cos we just wer nt good enough …on the day. I think that’s quite a pertinent attitude and realistic. So therefore it follows for me that for us to over focus on AoS , bull back or any particular sector gives one a slightly unsighted perspective like that greyhound chasing up the course after the hare that’s not in his rador at all. A general overall balanced performance throughout the field is what I’ll be looking for tomorrow evening. And with that , a bit more up front and back behind and I can say that our passage will be a happy one! Again I’m so conscious of the demands that are being made of this brave footballing brigade! inbetweener in my opinion we were good enough to win against meath and the dubs , but cork , kerry ( 3 times) and donegal were better. its a shame we didnt convert one of those two losses to a W , but its all spilled milk , this is the year. Maybe we should start AOS at 11, hit Lacey hard and test that knee if he does start. If they have the two Mcgee’s inside and primed for AOS and Cillian and Next thing we start with Jason Doh and Andy inside who spread their runs wide and win balls in corner and pass into middle where AOS and Cillian run onto it . Spread them wide at the very start of the game, run them hard and if they dont close down Jason and Andy at pace well those two guys are accurate and will tag on pints at their easy from the 21. Do Cairde Maigh Eo members use http://www.seasontickets.ie site to print their tickets? Trevor – yes, they do. Same process as for Croke Park season ticket as far as I know. HopeSprings I like your way of thinking. As long as we have a balanced performance we should be fine. We already know we have the fitness advantage and a deeper bench. Make that count. Keep the game wide. Don’t box in AOS near the goalie n square. Subs come on n run hard at that defence away from AOS where space is. We actually have a lot of variety now, we can keep these lads guessing. Personally think our old-fashioned running game will do the trick for us, but hey, lets see how Aidan does on the square! A few handy frees and black cards will do nicely! Thanks for your help Willie Joe. Got that sorted, a mistake in email address it seems. All good and ready to go. No worries, Nephin, glad to hear you got it sorted. The defending must start HERE!